Supply and demand are both key to economic activity. The two influence each other and impact prices of consumer goods and services within an economy. Supply is the amount of a particular good or service available at a given time to consumers. Consumers, expressing interest in purchasing a good or service, exhaust available supply, generally resulting in an increase in demand. Demand is a measurement of consumer desire and consumer spending on a particular good or service at a specific price. As demand increases, available supply decreases and an increased supply may satiate available demand at that price. Prices may fall if supply continues to grow. If supply decreases, prices may continue to increase. Supply and demand have an important relationship that determines the prices of most goods and services. Many companies analyze this market relationship while making strategic production decisions. Market economy theories claim that, over time, this relationship balances out in an equilibrium of prices, with supply and demand reaching a close approximation of the perfect allocation of resources to production. At this point, prices are perfectly set to interest consumers and companies produce neither too much nor too little product. Market economies use this to determine product development and production. Consumers, then, dictate which products are produced and sold by creating the demand for companies to supply with goods and services. Companies study consumer behavior in an attempt to understand current and future demand. The capacity to produce enough supply to meet demand keeps prices low enough to entice consumers. In this sense, both supply and demand are equally important to economic vitality. The theory of supply and demand relates not only to physical products such as television sets and jackets, but also to wages and the movement of labor. More advanced theories of micro and macroeconomics often adjust the assumptions and appearance of the supply and demand curve to properly illustrate concepts like economic surplus, monetary policy, externalities, aggregate supply, fiscal stimulation, elasticity and shortfalls. 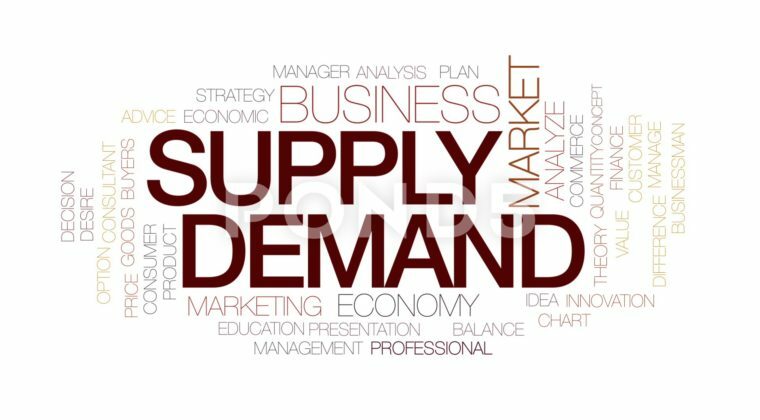 Before studying those more complex issues, the basics of supply and demand must be properly understood. Do you want to learn more about auditing, accounting, bookkeeping, vat, economy, business, consulting, mergers, acquisitions, advisory services, corporate financing, company liquidation, corporate financing etc? Watch out for more on “Learn business basics on the go” series.